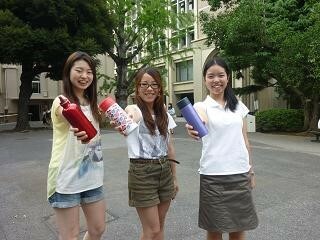 Friends of the Earth Japan (FoE Japan) develops sample data that simply shows comparisons of environmental impacts from the use of water in PET bottles and from the tap in cooperation with the Hirao Laboratory of the University of Tokyo. This data was presented at a seminar organised in March 2010 together with examples of activities to reduce the use of PET bottles and promote the use of tap water in both Japan and overseas. The Sui Do! (Water Do!) Campaign started in June 2010 to encourage a reduction in environmental impacts and social costs by choosing tap water over bottled beverages, such as PET bottles. The campaign is now operated by Sui-Do Network formed by approved organizations since November 2014. The campaign was developed on three pillars: (1) expanding local government initiatives, (2) increasing water oases in the city, and (3) extending lifestyles that are not reliant on bottled drinks. As the primary body that is responsible for supplying safe and delicious tap water to city residents, the local government is in a position to lead actions for residents to reduce waste and greenhouse gas emissions. Campaigns are carried out to put pressure on local governments to expand initiatives, such as bans on the use of bottled drinks at meetings, and reducing the number of drink vending machines in government buildings and public facilities. 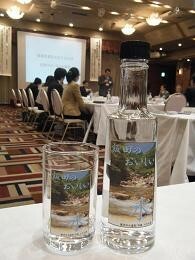 In addition, a local government declaration was proposed and adopted at the “Local Government Forum in Minamata on Aiming to Become an Environmental Capital” organised in Minamata city in November 2010 to promote the local production and local consumption of water and reduce the use of bottled drinks. Today, 16 local governments are taking part in this initiative. City planning that is gentle and rich for both people and the earth is proposed by increasing the number of water fountains around the city, at stations, and in public spaces that can be used freely by anyone, as well as the number of “city oases” at cafes, for example, that offer water and drinks to customers that bring their own personal bottles. The proposal encourages the excavation and installation of water fountains in different areas, and information on these oases is published on maps on websites. 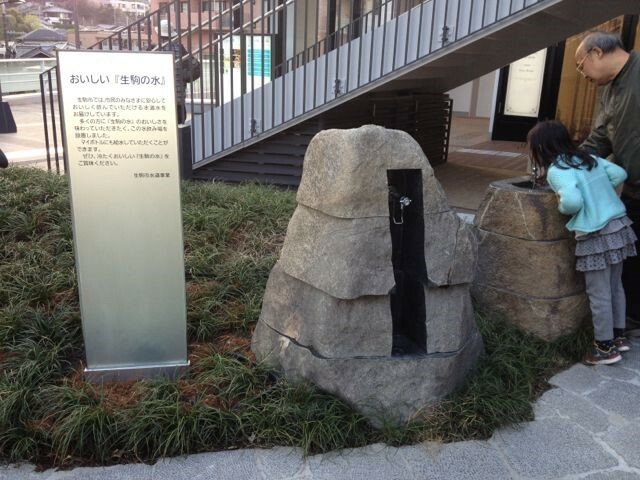 From FY 2012, attractive water fountains and water supply points have been introduced both inside and outside Japan as part of the “Oasis-based City Planning” campaign. The initiative looks at how to increase the number of oases and support activities in cooperation with the local government and organisations that are involved in local activities. This proposal promotes comfortable lifestyles that are not reliant on bottled drinks through the dissemination of information at events and on websites. In 2010, the “Sui Do! Cafe” series was organised where professionals are on hand to teach the methods of brewing coffee, tea, and Japanese tea, using local tap water. From 2012, the “Sui Do! @Campus” campaign has been organised to encourage students to bring their own water bottles and install water supply points within university grounds. (Explanation of graph) The graph compares CO2 emissions throughout the lifecycle, and gives four examples of drinking water outside the home. Bottled drinks consume much energy during transport and refrigerated sales, and have a major impact on the environment because recycling of these containers also requires energy. This is about fifty times the amount of CO2 emissions when compared with cases where infrastructure such as water coolers and the use of personal water bottles is encouraged.